Leigh Miners Rangers marked their historic NCL treble last year with a rousing rendition of Status Quo’s ‘Rockin’ all over the World’ after they won the Premier Division Grand Final, on the back of topping the table and taking home the Conference Challenge Trophy earlier in the year. 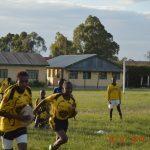 Little did they know, that statement was in fact truer than they ever could have thought, as Director of Rugby Paul Whitworth picked up a surprise email all the way from Kenya this week. “Hi, my name is Gem Dennis,” it read. 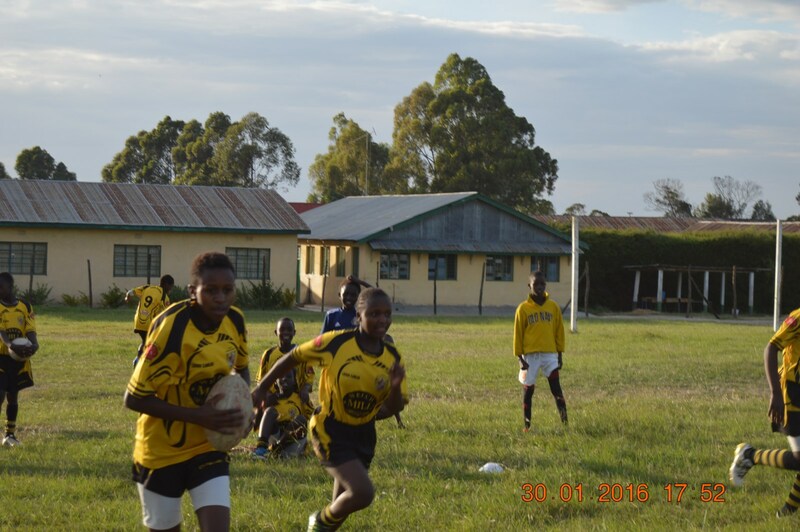 The kit took on a remarkable path to the east coast of Africa. Initially donated to the army by Miners as thanks for hosting a pre-season training camp at Weeton Barracks in January 2015, the kit, which comprised of 15 jerseys, 15 pairs of shorts and 15 pairs of socks, plus 4 balls, were handed to Gem in November last year by Col Tom Vallings, Commander of the British Army Training Unit in Kenya – BATUK. 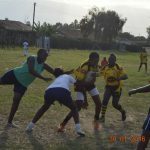 “The Unit is based around Mount Kenya Region,” explains Gem, who voluntarily heads up a drive to promote rugby and its positive values amongst young people in the country. 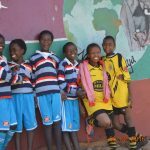 “Tom joins me when he has time, as I train the community teams and orphanages. 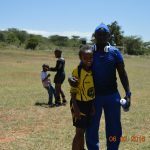 “I train Nanyuki Children’s Orphanage, Furaha Foundation Orphanage, Baraka Orphanage, Simama Project Orphanage, Majengo Community Team and Thingithu Community Team. 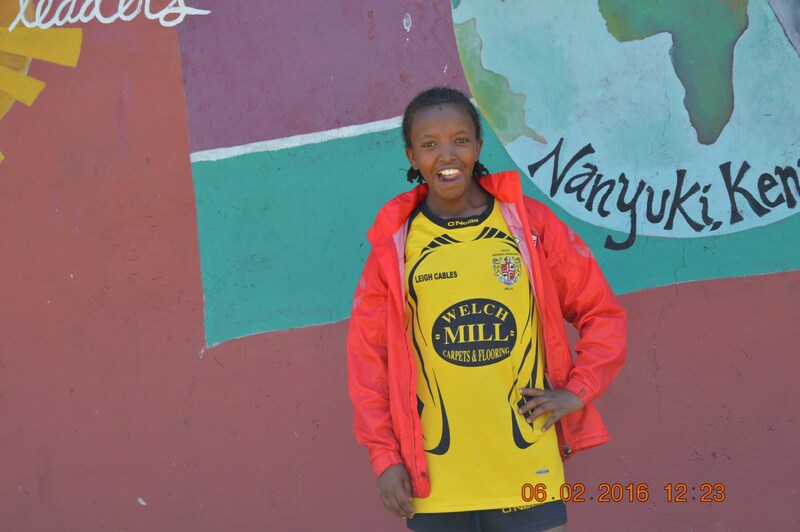 “I also train Primary Schools St Moses Primary, St Christopher’s Primary and Brickwood’s School. “Tom and his wife support what I do by sending over used trainers and boots plus shorts and shirts,” adds Gem. 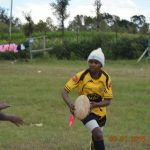 “Just the other day, they bought eight rugby balls and some shorts after noticing that some of the kids I train have no shorts and use water bottles for training due to a lack of balls. 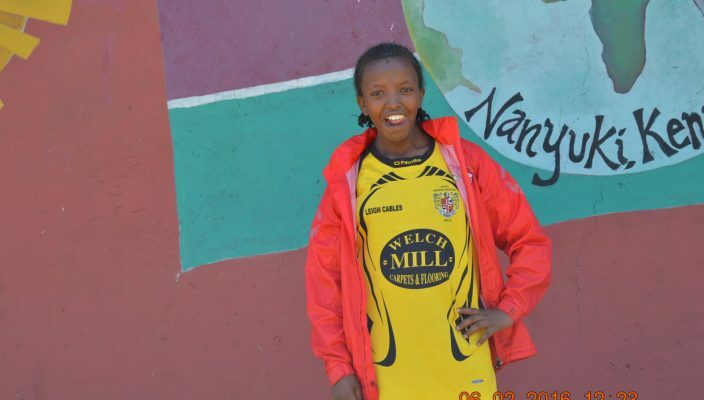 The Leigh Miners Rangers kit, worn during the 2012 and 2013 seasons, is currently being used by Nanyuki Children’s Home Orphanage, with great success. 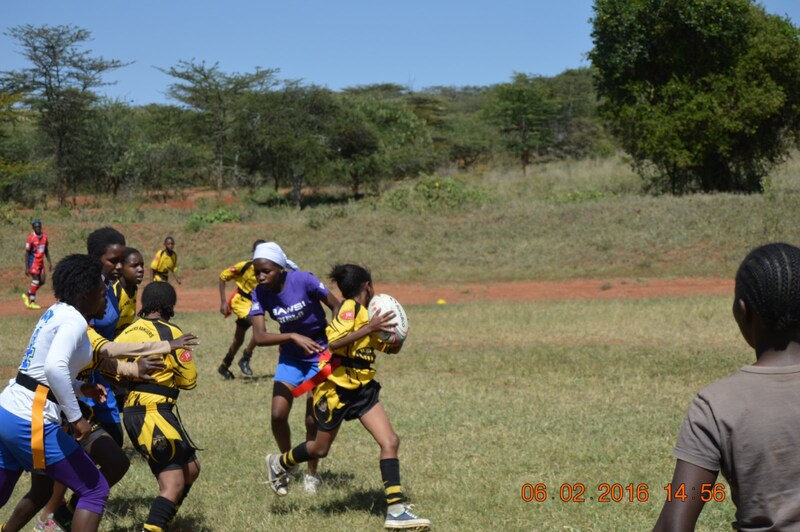 The Army, through Col Vallings, paid for 25 orphans, and the Miners’ kit, to go to the Coast of Diani for the Annual Diani Touch Rugby International Tournament, where they won the schools category. 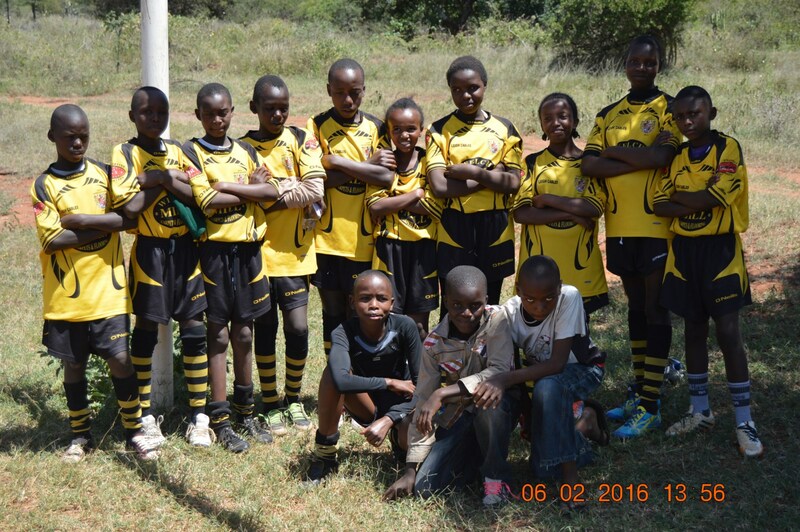 And, last weekend, the Nanyuki Children’s Orphanage played in the World Forest Day Touch Rugby 7s Tournament and won the under 13s Category, beating eight other teams. 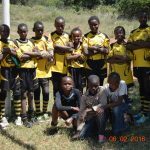 They also came second in the under 10s and under 15s tournaments – seven under 15s turned out in the Miners’ kit, with six players from the victorious under 13s age group joining them. 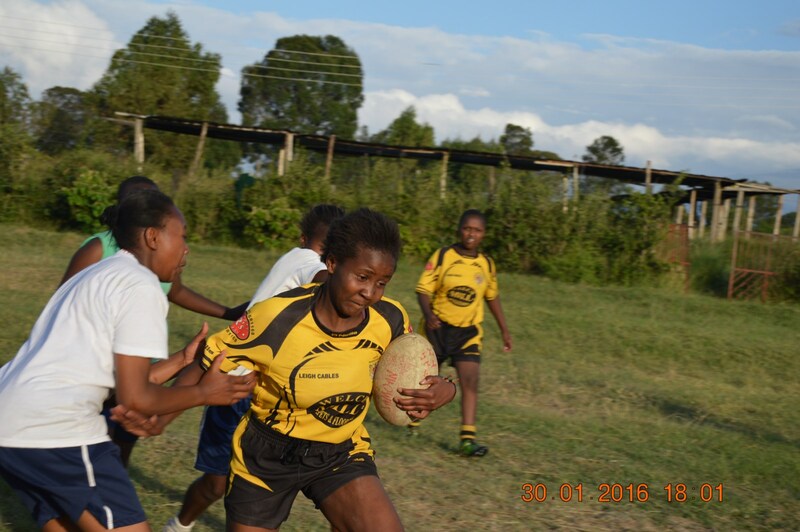 The kit is also used by High School Girls’ teams during tournaments. 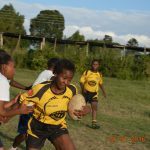 But the surprise donation is just the tip of the iceberg for Gem, who, going forward, has big ambitions for Rugby League in Kenya. “What I have given to the kids and the community around here is a plague,” he enthuses. 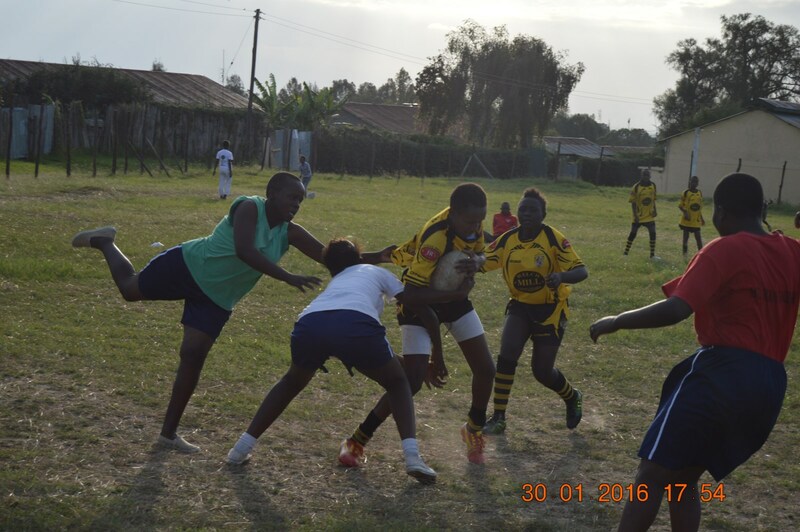 “I have infected them with a disease called rugby and it seems to have no cure! 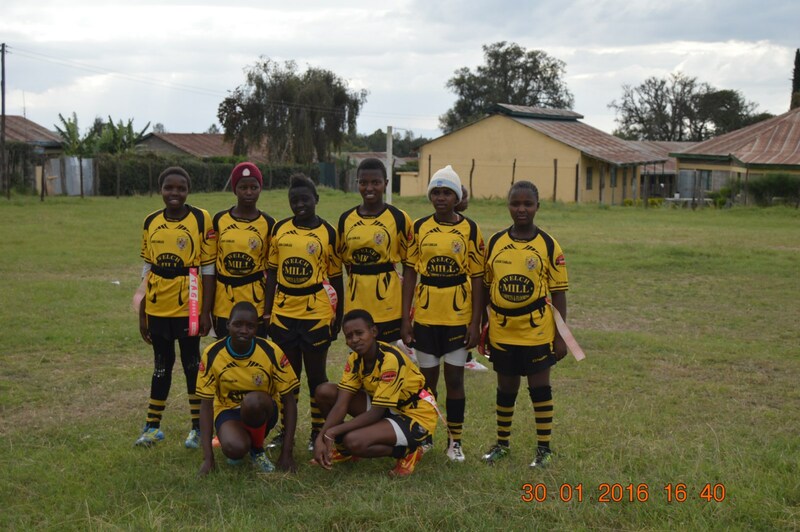 They took part in the under 12s and under 14s Africa Cup 7s, held in Mombasa in 2013, and were runners up. Then, Gem joined the British Army Training Unit Kenya. 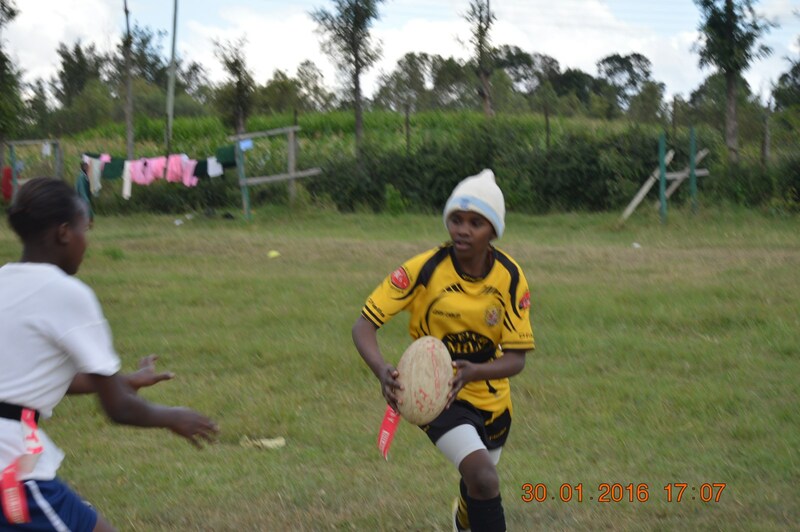 “There, I met an English lady called Lucy Welland who had a passion for kids’ rugby,” he explains. 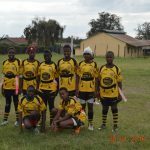 Lucy and Gem went on to introduce rugby to no fewer than four new schools in 2014 and eventually, with financial help from Lucy, the Rugby Patrons Society of Kenya and Tag Rugby, Gem had his team were able to raise £1,000 to take 35 girls to play in a beach rugby tournament in July last year. But the hard work didn’t stop there. 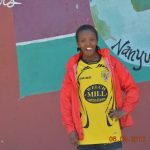 Gem adds: “When I came back, I went to Nanyuki Children’s Orphanage and introduced rugby there, then I, along with a Tag Rugby collegue called Raymond, started a community team where I live, called Thingithu Estate. 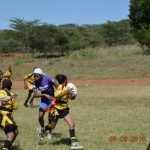 Then, in July last year, Commander Vallings, a former rugby player, decided BATUK would sponsor 25 Kids from Nanyuki Orphanage to go to the Diani Touch Rugby Tournament at the Coast. 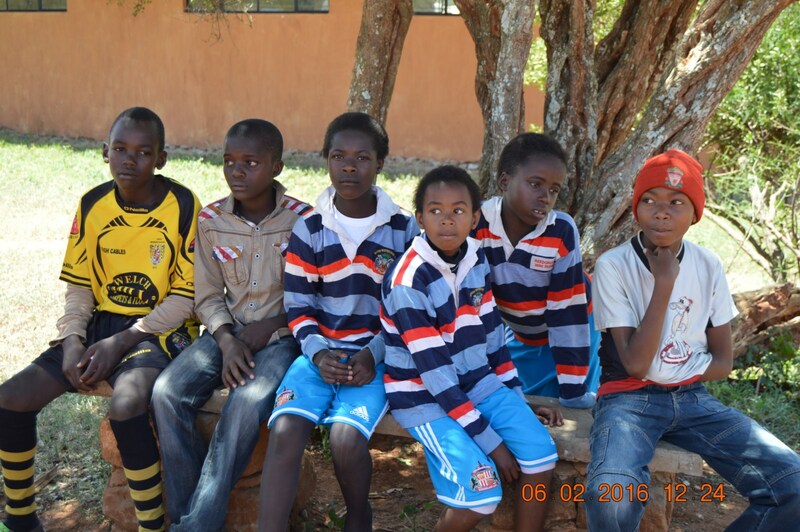 “BATUK gave us £2,000 for transport, registration, meals and accommodation,” explains Gem. 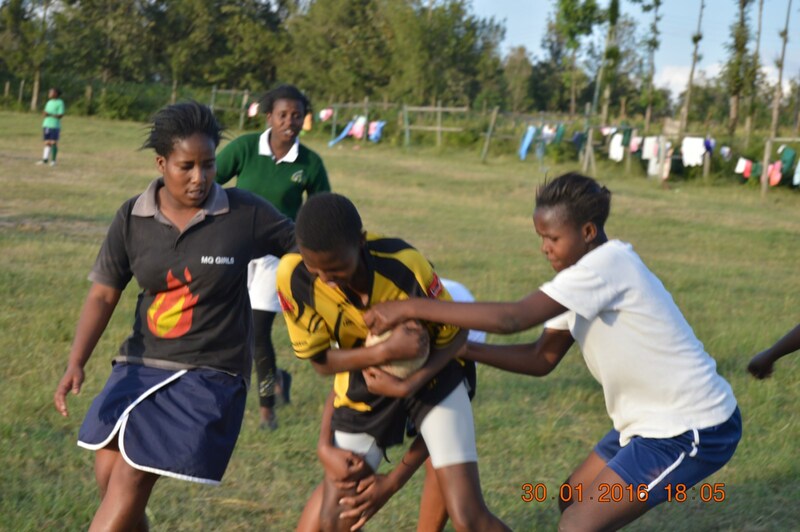 The hard work has continued in 2016 with Gem’s team, which now consists of four volunteers, including himself, introducing rugby to another community – Majengo Estate, before yet another girls’ school, PCEA girls Nanyuki, got their first taste of rugby in February. 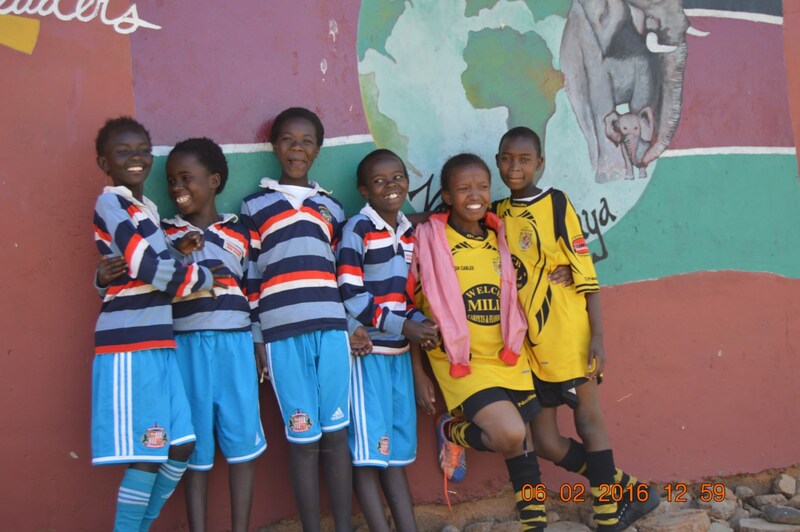 “The Rangers kit was a surprise gift Tom gave me,” Gem explains. 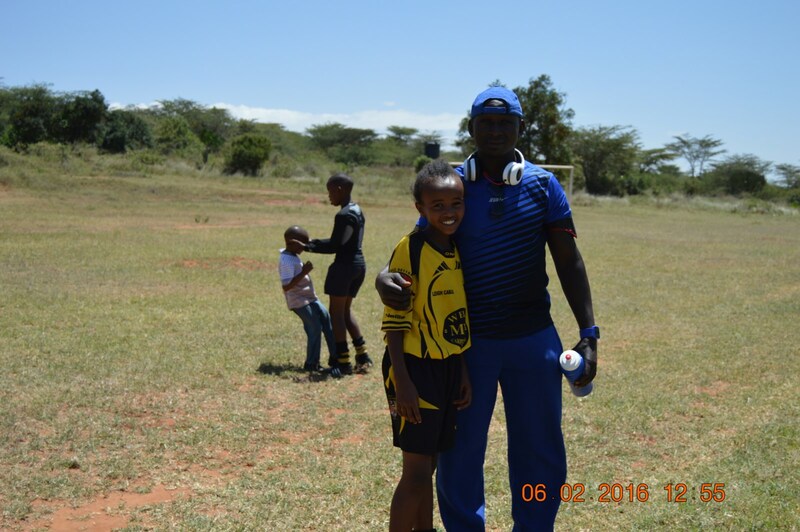 “He and his wife, Lulu, then joined me for training and saw us training with water bottles and most kids playing barefoot. 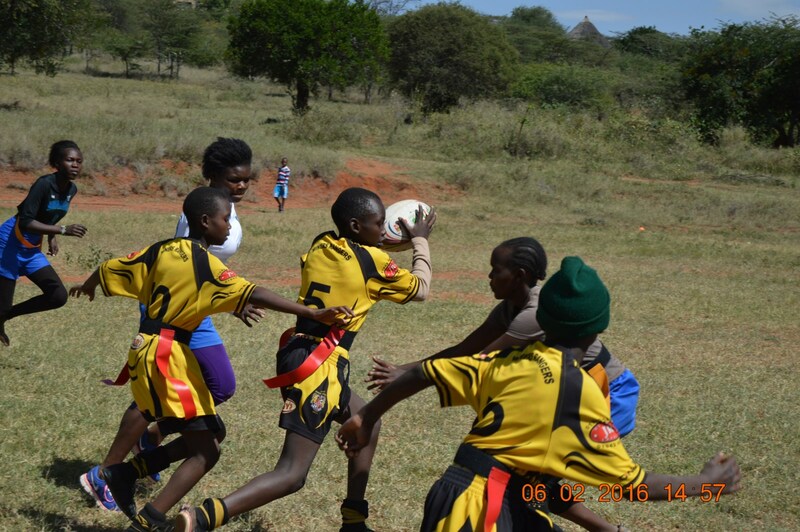 The majority of kit and equipment comes from generous donations, with BATUK staff only able to fund some small additions in recent months as a result of ever-increasing demand for rugby equipment, due to the ever-increasing appetite for Rugby League. 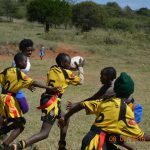 Gem added: “I now have an Army of over 500 Kids playing rugby – seven Girls’ High Schools, four Orphanages, two community teams and four Primary Schools. 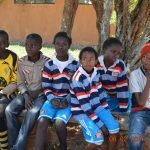 For more information, or if you’d like to donate kit to Gem’s cause, email Sarah Cooper on kenya@aff.org.uk, with the subject “Rugby equipment – Col Tom Vallings”.